1. I've never been so excited for and yet dread something so much: the series finale of LOST, coming up this Sunday. I'm going to be so incredibly sad when it's over, and yet I'm dying to see the last episode. But it's the last one EVER. Oh the pain. The horror! 2. Speaking of TV, we've fallen completely in love with the show MODERN FAMILY. It is so so so good!!!! We actually look forward to it more than THE OFFICE, which I can't believe just came out of my mouth, or fingertips, or whatever. 3. I'm finally reading THE GIRL WITH THE DRAGON TATTOO. It has me very captivated, although I can't really say why. 5. Oh, you want some book related stuff? Okay, I can do that. We went through a lot of revisions and fine tuning for THE SCORCH TRIALS, but I believe we are finally done. And I'm very proud of the final result, and thrilled with what Krista pulled out of me to make it better. I can't believe it comes out in 5 months! 6. We'll only have teaser chapters at BEA, so I'm sorry if that disappoints anyone. Here's my schedule by the way: Signing TST chapters at 9:00 am Wednesday in the Random House booth, then signing THE 13TH REALITY Book 3 at 11:00 am Wednesday in the main autographing area. On Thursday I'll be signing in the ABA Lounge at 10:30. I'll also be doing lots of luncheons, dinners, and other fun stuff. Can't wait! 7. 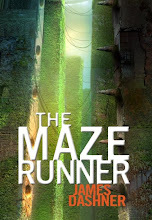 I am now working very very hard on THE DEATH CURE, the third and final book in THE MAZE RUNNER trilogy. It's always so fun to be in first draft writing mode. Story and characters and creativity are all that matters at this point. 8. It's been a lot of fun for me to work with some of the translators doing my foreign versions of MAZE. I had never thought about how hard it can be to translate things like shuck and shank and WICKED and Griever into other languages. 9. I get asked this a lot, so in case you don't know: MAZE comes out in paperback on August 24th (same day as MOCKINGJAY!) and SCORCH comes out on October 12th. 10. My family has become obsessed with fish tacos. We eat them whenever and wherever we can. I'm not sure this is normal. 11. I had a great tour for Book 3 of 13TH REALITY. Thanks to all the students, teachers, bookstore employees, and readers I met in Phoenix, Denver, Dallas, Houston, Austin, St. Louis, and Salt Lake City. I really had me some good times. No more touring until October! 12. Thanks to Morgan for pointing out that Rick Riordan said on his blog that his son loved MAZE. The fact that this made me giddy is further proof that I'm still a fanboy and will probably never change. First, as always, THANK YOU for all the nice comments about my books. Those never fail to make my day! I really appreciate each and every one. Sally T, I'm sorry you missed me in Dallas! Shelli, I AM coming to Atlanta to visit my family soon (counting down the days actually), but alas, no events are scheduled. Maybe next time! Shaun Barger, thanks for the awesome writeup on apocalypse writing! Jackson, we'll be catching up on 24 once LOST is over. I can only handle so many shows! And thanks for providing me with so many laughs in the comments. Several have asked about ARCS for SCORCH. I don't really know much about when they'll be done and how many will be printed. But I'm sure I'll give at least a couple away on this here blog once I have some. And you can always request one through your channels with Random House. If you have said channel. Someone started a forum for 13TH REALITY. Check it out: http://www.realitants.com/forum. Also, someone started a site for MAZE fans: http://www.thegladers.info. Thanks, guys, I'm honored and I hope people visit you. Dave, I'm not into FLASHFORWARD or V. I don't commit to anything now until they prove they won't be cancelled! Anonymous, yes, I used to teach at SLCC. That was fun while it lasted for a very short while. Julie Belnap, I'm sorry I won't be at the teen writer's conference! I think they like to shake it up on who comes every year. Traci, I'm sorry I missed a chance to sign your book. Crazy schedule lately! Matt Hayes, I actually don't know the title for Book 4 of 13TH yet. I'll probably reveal that this fall. Brin, I thought it was very cute how you asked me to explain quantum physics. Keep reading 13TH and you'll find out a little, but I'm not smart enough to explain it any more than that! Christie asked about how you get published. Scroll down on the right side of my blog and you'll see links to lots of stuff I've written about that. Best of luck!!! Michelle, it would really be hard to commit to something next March because I'll probably be on tour. Maybe contact me again as it gets closer? Anonymous, all of my books are on the Kindle and Nook and other ereaders now. Cupcake wants to know when I'll come to Canada. No plans as of yet. Maybe push a bookstore there to request it through Random House. Mary, as we get closer to the UK release, that would be great! Maybe towards the end of July? Morgan asked how long the Gladers had been around before Thomas showed up. There was an original group of about 25, and Thomas came two years later. Brian asked about that panel I did in NY with Scott Westerfeld, Michael Grant and Carrie Ryan. Ya know, I never did hear if that got put up on the Internet. Could someone google that and try to find it for us? For those of you asking about interviews, appearances, etc., please forgive me for not responding. If you're still interested, try again in late June or July, as that's when my schedule will calm down quite a bit for awhile. Thank you for your interest. Wow, long post. I love you all!!!!! Guys, I know I've been quiet, but I promise to be more active on the blog soon!